We, Tariq and Elieth, Baron and Baroness of the Citadel of the Southern Pass send greetings. 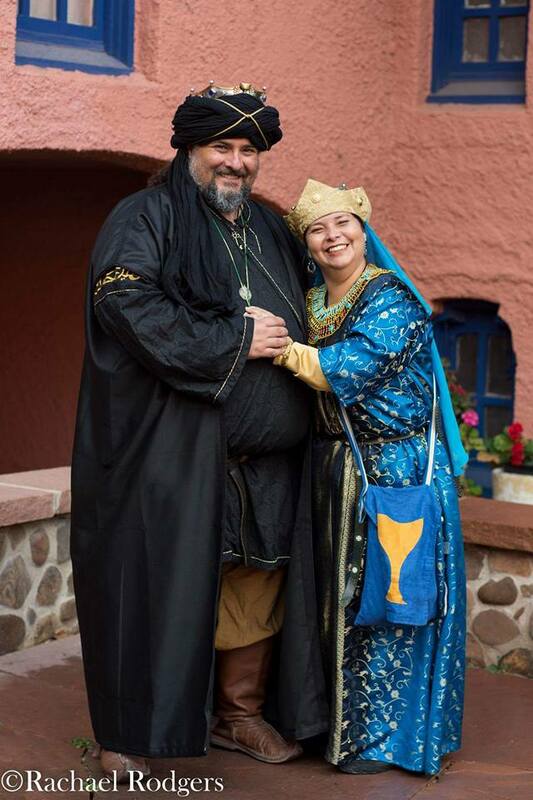 After 4 years of serving our beloved Barony as Baron and Baroness, we have decided to continue serving the Dream in other ways, so that others may have the opportunity to lead the Barony. If any of the members of the populace of Citadel should be interested in being considered as successors to the Baronial seat please send your letters of intent no later than February 28th to Crown (crown@outlands.org), Kingdom Seneschal (seneschal@outlands.org), and Citadel Baron and Baroness (coronet@southernpass.org). Their Majesties Hrorek and Slaine will hold a polling of the populace at a date and place to be announced. All approved applicants must be present for the Polling. We are grateful for all the love and support we have received these 4 years from our Barony, our Kingdom and other groups in the Society. You all, in your own way, have made Citadel a better place for us and have showed us what the Dream is really about. We are sure that the successors our mighty King and Queen choose to select will receive the same help and support to continue making Citadel great. Thank you for allowing us the honor to represent Their Majesties and to serve you. We will always cherish these 4 years. Citadel has its new Rook Pursuivant!